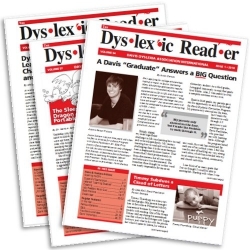 The Dyslexic Reader is a print magazine published three times a year by Davis Dyslexia Association International. 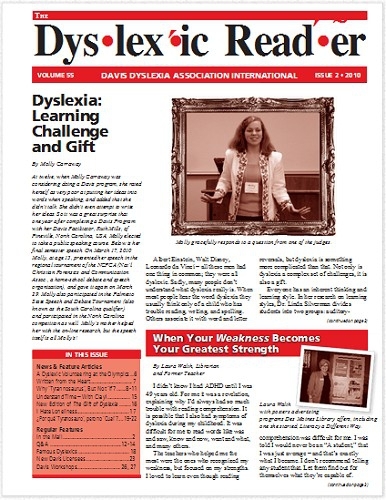 Articles and features explore innovative learning strategies and report experiences with Davis methods and other approaches. 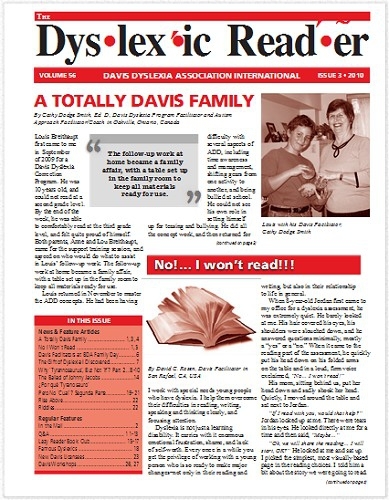 Geared to teachers, parents, and other adults interested in learning more about dyslexia and Davis methods. Art and poetry submitted by readers. 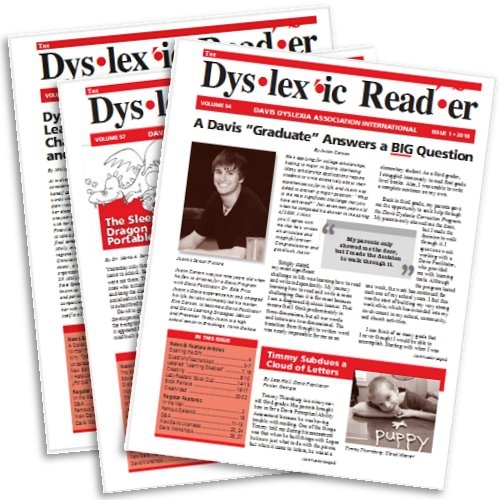 The Dyslexic Reader also includes schedules of upcoming events and workshops, and a directory of DDAI-licensed Facilitators and Specialists. For added value, join DDAI! 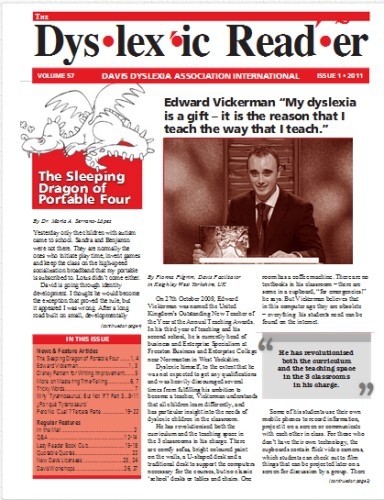 DDAI members receive 10% discounts on all purchases.